This time it’s drinking I want to tell you about – my favourite tipple Gin! I made my return to the island last week. How unfortunate I’m out of the UK when it enjoys the best week of weather in 2016! Any way back to the cloudy island of Gran Canaria where my main discovery this time was the diverse range of gins on offer in the city’s bars, at least 15 to choose from and with a menu of tonics including my current favourite Fever Tree Mediterranean. London Gin No1 was my favourite. It has a turquoise blue colour achieved from the maceration of gardenia flowers flavoured with 12 botanicals, that includes juniper, coriander and angelica – the first two botanicals delivering fragrance and spiciness whilst angelica, together with Orris root, gives body and structure to the other botanicals. A zesty freshness comes from liquorice root. The London No. 1 is unique in that it also has a final fusion of bergamot oil in the mix, its citric qualities combine well with the fresh juicy flavours of orange and lemon peel, whilst the bergamot also reinforces the “holding” role of Orris root. These offset with the thyme-like aromatics of savory, whilst the sweet, spicy notes of cinnamon and cassia bark complete the recipe. At 47% abv it’s got a kick – great! It’s the way they are served that really impressed me. In a Copa Glass with large ice cubes a slice of orange / lemon zest. Then a cocktail spoon was placed in the centre of the glass and the tonic poured down the long stem. I asked why they did that and was told it keeps the fizz in the tonic – really? To me it was an excuse for a bit of “theatrical” but hey what’s wrong with that. 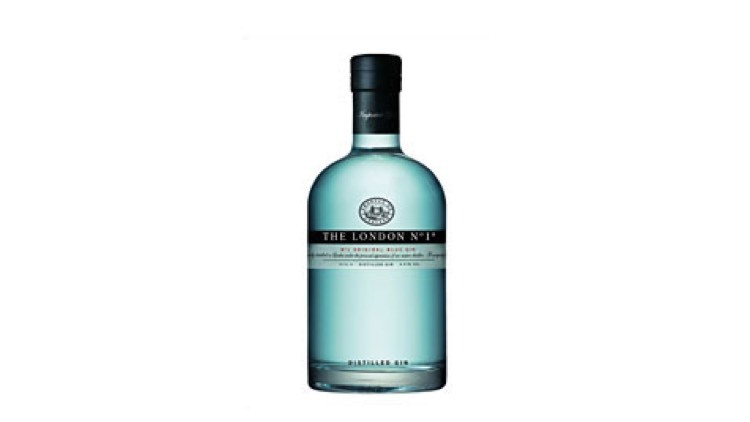 I am now the proud owner of a bottle of London Gin “Numero Uno” to enjoy – duty free of course with lashings of Fever Tree tonic.